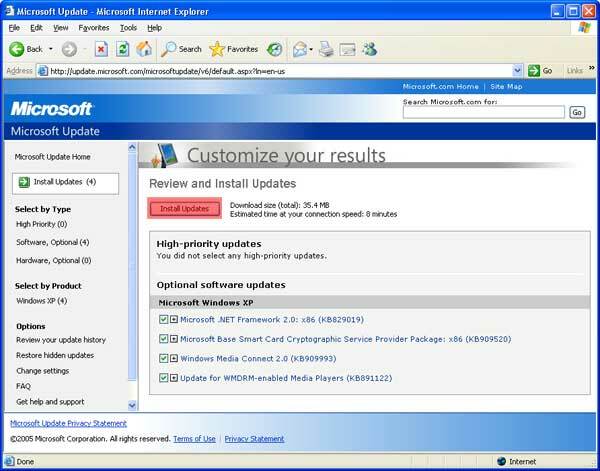 The first thing you need to do is locate Windows Update. It should be in the start menu - all programs and go to the top and click on Microsoft Update. 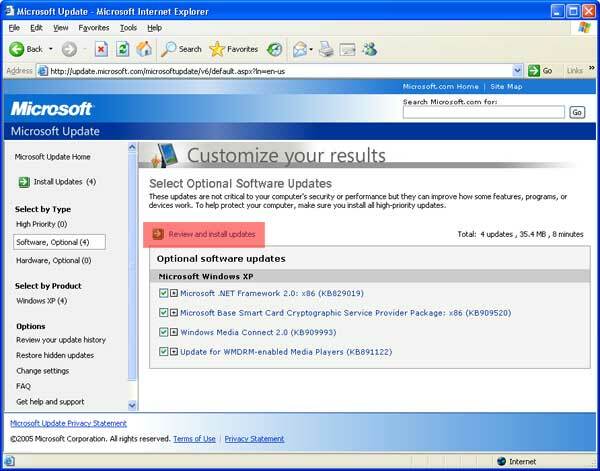 Once Windows Update or Microsoft Update appears you need to select custom scan. Custom scan allows you to see all the updates available to your computer, where was Express only allows you to see the high-priority updates. The Custom scan button is highlighted in red. 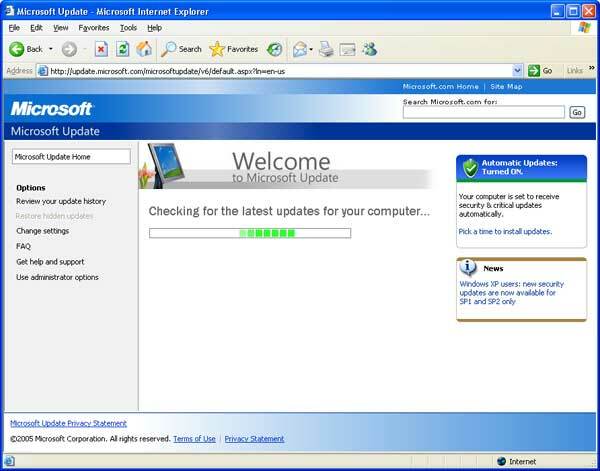 Now Windows updates is checking for the latest available updates. 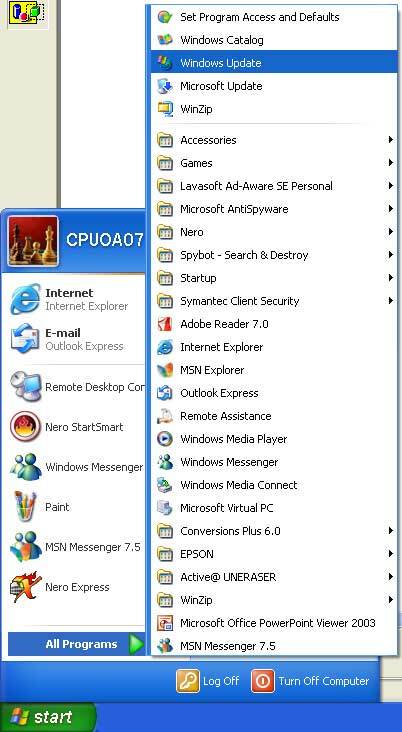 There is a picture of what your computer should look like below. 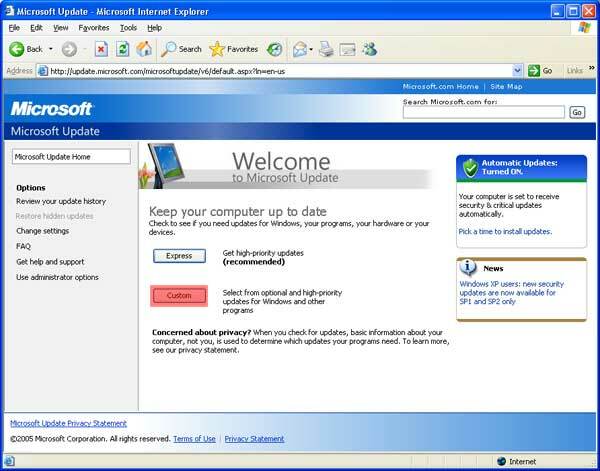 Once Windows has found the latest available updates for your computer you will need to selected them then install them. The red box indicates where the updates can be found. 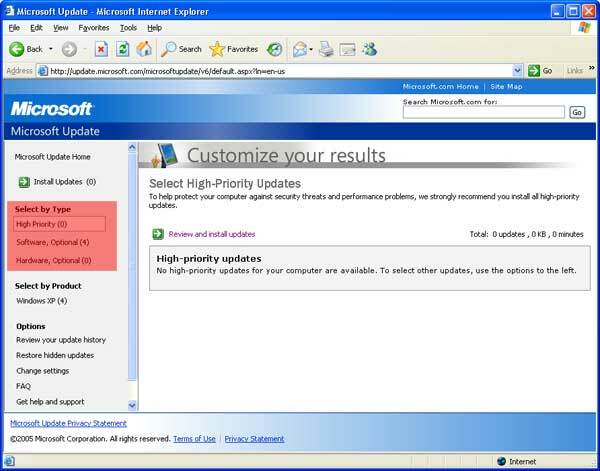 Once you have found the updates you will need to select all of them by checking the box next to the update, after you have done that click Review and install updates (highlighted in red). After the Review and Install Update window appears make sure all of your selected updates are in the window then click Install Updates (highlighted in red). 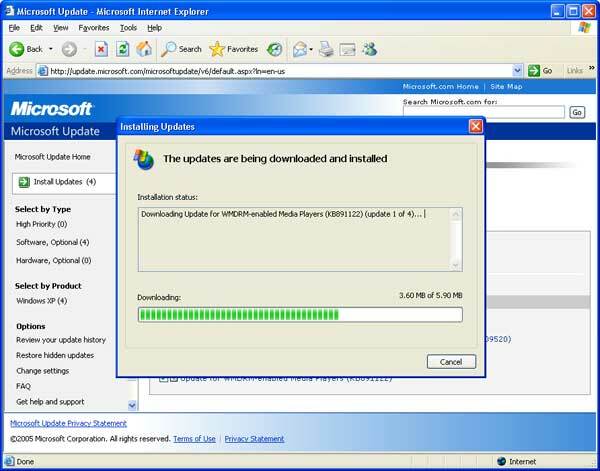 Now Windows is downloading then installing the latest available updates on your computer. Once all the updates have been installed you will be asked to restart your computer. You can restart right away or you can restart later. If your in the middle of doing something click restart later. Copyright 2011. 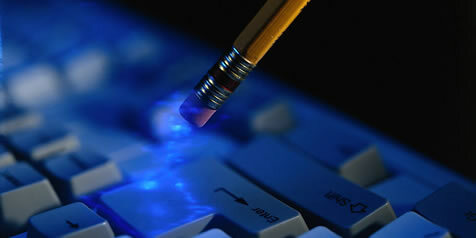 Computer Professionals Unlimited of America, LLC.. All Rights Reserved.